The 1970 LS6 Chevelle SS 454 has been called “The Ultimate Muscle Car… King Of The Streets” and, regardless of brand affiliation, muscle-car fans respect its 450 HP, 500 lb-ft LS6 engine. Two of our (anonymous) readers suggested a feature retelling this car’s story, originally documented on Hotrod. After spending about ten years terrorizing the streets of Pennsylvania, this bow-tie bruiser took a long winter’s nap until being discovered and authenticated in 2017. 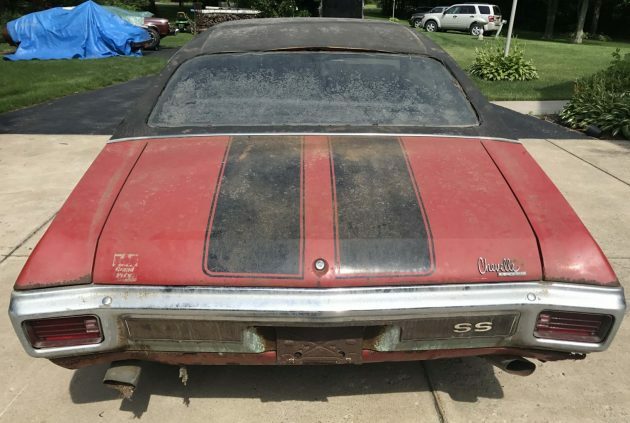 Thanks to its early retirement, this SS retains nearly all of its original parts including some unique LS6 pieces. There is (at least) surface rust on nearly everything. 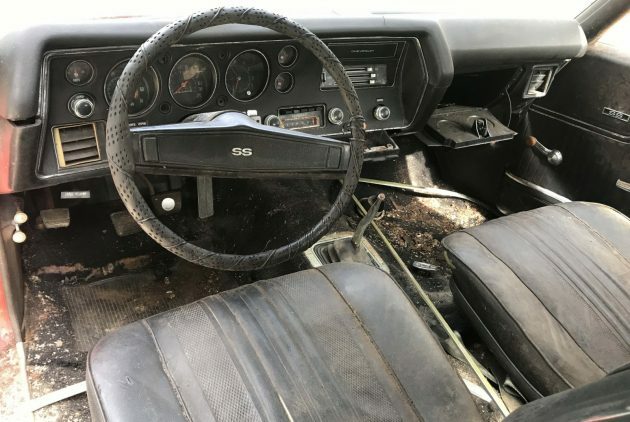 When you see rust on the little trim screws inside the glove compartment, you know you’re in for a daunting restoration, as moisture permeated the entire vehicle during at least part of its slumber. The monster big block and four-speed make a brutal combination that few posers would have challenged more than once. A gentleman in my home-town had one of these when I was in high school. It was rarely driven and stored in a tiny old garage barely wider than the car itself, but it was immaculate. I didn’t know how special they were then, but anything bearing “SS” and “454” badges and cowl induction caught the respect of young gear-heads cruising around in their under-powered hand-me-down cars. 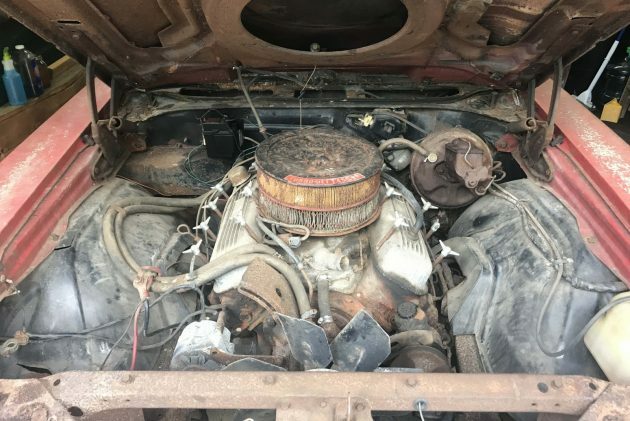 The standard SS 454 packed a potent 360 HP LS5 mill, but another $263 got you this LS6 with a solid lifter cam, an 800 CFM Holley carburetor, low-rise intake, and square-port heads with 11.0:1 compression vs 10.25. Even with the stock tires of the day this combination is good for quarter mile times in the mid 13s (some details courtesy of SuperChevy.com. The new owner plans a complete nut-and-bolt restoration, after which you can expect more magazine and Internet articles celebrating this amazing vehicle. Close your eyes and picture yourself behind the wheel of this muscle monster one summer evening. The raucous slightly uneven exhaust tone burbles in anticipation. You depress the clutch, engage first, and launch at idle, laying down two streaks and shredding off into the night. What’s your daydream for this SS?